Want to try great apps without hurting your wallet? We’ve selected 66 iPhone, iPad and iPod touch apps that are now free. 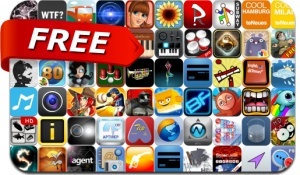 This apps gone free alert includes Find the Ball, Bitter Sam, Big Win Baseball, Around the World in 80 Days, Quick Shooter, KungFu Bugs, Sea Stars, Sunshine Acres, Fish Heroes, Jetpack Junkie, BannerFlo, Fotoffiti, ProCam XL and many others.